TYPE 1: These bottles are suitable for use with both tamper evident and non tamper evident caps. See related products below for suitable caps. 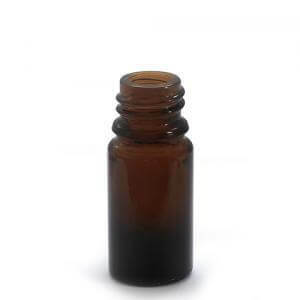 Price is per outer of 310 x 5ml empty amber bottles (no cap or dropper provided). Suitable for storage of aromatherapy essential oils. The more you buy the cheaper price per pack. There are 102 packs of 310 on a pallet and this is our best online price. If you require more than 1 pallet please contact us via our helpdesk. Full range of caps and attachments available. T/E = Tamper evident.